Motivational Speaker Marvelless Mark Strikes The Right Note For Your Audience. Why should I consider hiring a professional master of ceremonies to emcee my special event? A good master of ceremonies knows how to keep a show entertaining, on-course and full of energy. To ensure that your event goes off without a hitch, consider hiring a professional emcee like Marvelless Mark®. https://www.marvellessmark.com/wp-content/uploads/2014/02/marvelles-mike-master-of-ceremonies.jpg 479 720 Marvelless Mark Kamp https://www.marvellessmark.com/wp-content/uploads/2019/04/Marvelless-Mark-Las-Vegas-Keynote-Motivational-Speaker.png Marvelless Mark Kamp2014-02-17 04:43:192018-05-01 03:42:32Why should I consider hiring a professional master of ceremonies to emcee my special event? I’m looking for keynote speakers for corporate events. What kind of corporate entertainment can Marvelless Mark provide? Searching for keynote speakers that will liven up your business presentations, seminars or conferences? Motivational speaker Marvelless Mark® livens up corporate events with an exciting mix of music and comedy. https://www.marvellessmark.com/wp-content/uploads/2014/02/marvelles-mark-corporate-entertainer.jpg 405 720 Marvelless Mark Kamp https://www.marvellessmark.com/wp-content/uploads/2019/04/Marvelless-Mark-Las-Vegas-Keynote-Motivational-Speaker.png Marvelless Mark Kamp2014-02-17 02:31:252018-05-01 03:42:32I’m looking for keynote speakers for corporate events. What kind of corporate entertainment can Marvelless Mark provide? How can my corporate events benefit from meeting ice breakers? Before corporate events such as marketing and sales seminars or team-building activities, it’s a good idea to lighten the mood and get audiences energized. https://www.marvellessmark.com/wp-content/uploads/2014/02/marvelles-mark-custom-corporate-entertainer1.jpg 638 960 Marvelless Mark Kamp https://www.marvellessmark.com/wp-content/uploads/2019/04/Marvelless-Mark-Las-Vegas-Keynote-Motivational-Speaker.png Marvelless Mark Kamp2014-02-17 01:29:372018-05-01 03:42:32How can my corporate events benefit from meeting ice breakers? How would you describe Marvelless Mark as a professional speaker? 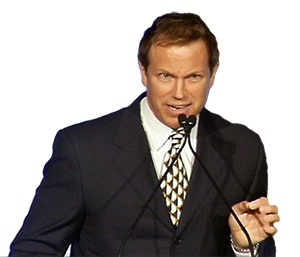 If you’re looking for a high-energy professional speaker, motivational speaker or emcee for your corporate events, consider Marvelless Mark®. https://www.marvellessmark.com/wp-content/uploads/2014/02/marvelles-mark-professional-speaker.jpg 640 960 Marvelless Mark Kamp https://www.marvellessmark.com/wp-content/uploads/2019/04/Marvelless-Mark-Las-Vegas-Keynote-Motivational-Speaker.png Marvelless Mark Kamp2014-02-17 00:53:572018-05-01 03:42:32How would you describe Marvelless Mark as a professional speaker? A team that works well together is a happier, more productive team. Team-building speaker and meeting facilitator Marvelless Mark® can strengthen your team for better results. Yes, Marvelless Mark® can tailor his high-energy live entertainment for corporate events. I need high-energy entertainment for my event. Does Marvelless Mark fit the bill? If you’re looking for high-energy entertainment, Marvelless Mark® will certainly deliver. Whether you need corporate entertainment or party entertainment, Marvelless Mark® provides an electrifying performance of comedy and music that gets (and keeps) event attendees pumped. https://www.marvellessmark.com/wp-content/uploads/2014/02/mark-high-energy-motivator3.jpg 540 960 Marvelless Mark Kamp https://www.marvellessmark.com/wp-content/uploads/2019/04/Marvelless-Mark-Las-Vegas-Keynote-Motivational-Speaker.png Marvelless Mark Kamp2014-02-16 21:55:442018-05-01 03:42:32I need high-energy entertainment for my event. Does Marvelless Mark fit the bill? Why should I hire a corporate motivator like Marvelless Mark for my corporate events? Looking for lively corporate entertainment to motivate your staff? 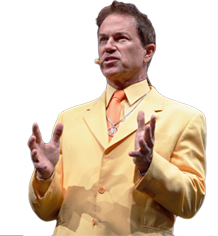 Motivational speaker Marvelless Mark® brings rock star energy to team-building exercises, business presentations, get-motivated seminars and other special corporate events. https://www.marvellessmark.com/wp-content/uploads/2014/02/mark-corporate-motivator1.jpg 640 960 Marvelless Mark Kamp https://www.marvellessmark.com/wp-content/uploads/2019/04/Marvelless-Mark-Las-Vegas-Keynote-Motivational-Speaker.png Marvelless Mark Kamp2014-02-16 21:43:462018-05-01 03:42:32Why should I hire a corporate motivator like Marvelless Mark for my corporate events?